This summer, I decided not to offer any science experiments to my 9 year old and see what, if anything, she wants to do. After all, she has dozens of science books and even unopened science kits. 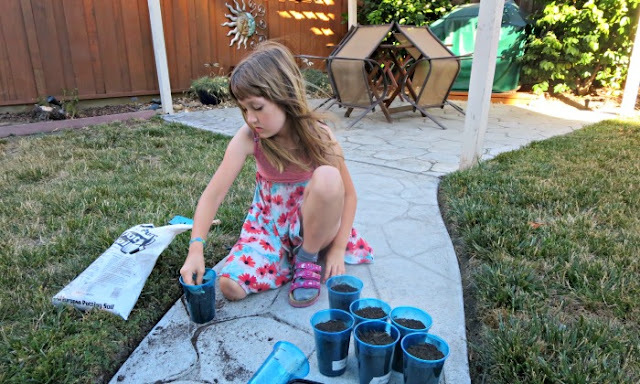 I did not have to wait long until she came up with a perfect summer science project - all entirely on her own. Since Smarty is skipping the fifth grade, she was a bit concerned about missing on science skills that students are expected to acquire in the fifth grade. She got Making the Grade: Everything Your Fifth Grader Needs to Know in the library and focused on the science section reading up on scientific method and designing a proper experiment. She also had some experience with this during her science fair project in the third grade, but this time she wanted to do a project that would require more data gathering. This is how "fertilizer project" was born. Smarty did some Internet research on homemade fertilizers and learned that they usually contain nitrogen, phosphorus, and potassium. She decided to try two recipes that were easy for her to made entirely on her own - aquarium water (with overriped banana mashed into it for good measure) and coffee grounds (we drink a lot of coffee, so she can get coffee grounds any time). 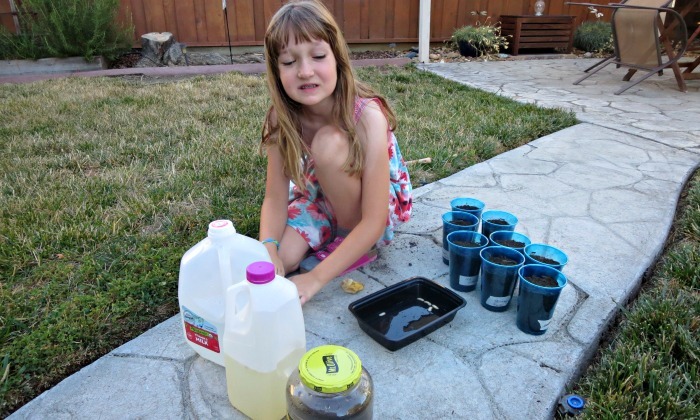 She also decided to try "lemonade fertilizer" - a watered down mix of lemon juice and sugar. She also remembered to keep a control group of normal water. 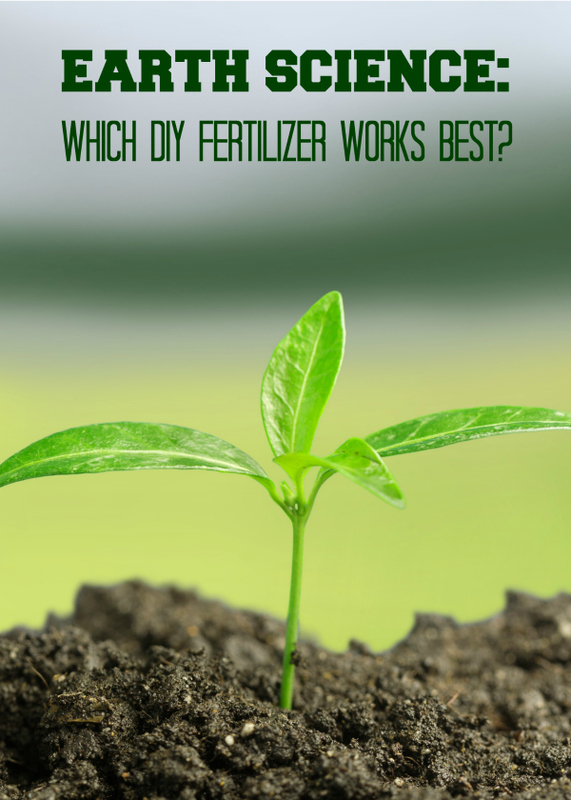 How to store liquid fertilizers? 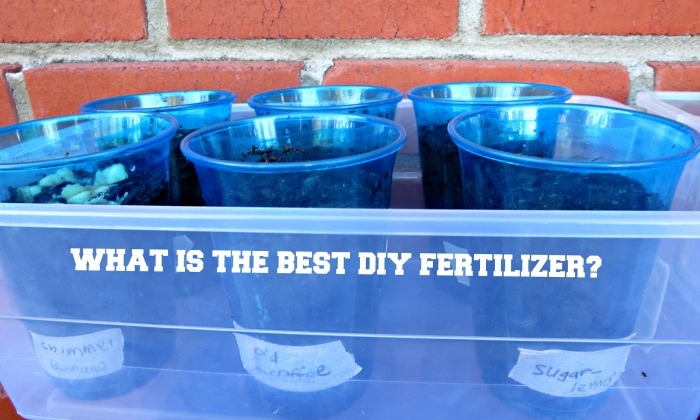 How to increase chances of seeds germinating? (Smarty decided on having 2 planters for each fertilizer with 2 seeds initially in each planter. With some luck, at least one out of four seeds will produce a plant). How long the experiment will last? Unfortunately, we have only 3 weeks for it before we travel, but, hopefully, she will see seeds germinating and growing before then. Smarty is planning to water the plants with her liquid fertilizer mixture every day and record the plants' growth over 3 weeks. Her hypothesis is that aquarium-banana mixture will produce the fastest growing and healthiest plants. I am betting on regular water... under the assumption that she will remember to water her experiment in the first place. What kind of science fun are your kids having this summer? Looks like a good experiment - I'm curious to see her results. What a great science experiment! I bet I could get Emma to do this one. I"m curious to see which works.